By now, you’re likely aware that the Impose staff has a soft spot for the people and music former Brooklyn venue Death By Audio represented. But as time goes by, and new corporations inhabit Williamsburg’s east side, the noise dissipates and the memories fade. Luckily for us, and the thousands of people that small, dirty room, helped nurture and nature, there are devotees like Ebru Yildiz to keep the spirit of DBA alive. Yildiz, a Turkish-born, Brooklyn-based music and portrait photographer who has graced these pages many times, was a regular at Death By Audio, and ventured there almost every day and night for its final 75 days, photographing not only the raucous concerts but also the quieter scenes from the daily lives of the people who worked and lived in the space. The result is “We’ve Come So Far: The Last Days of Death By Audio”. A visual representation of those final shows, including bands like Lightning Bolt, Ty Segall, Thee Oh Sees, Future Islands, Jeff The Brotherhood, and A Place To Bury Strangers, and, maybe more importantly, the photographs in “We’ve Come So Far” focus on the lives of the residents, the work of the artists and musicians, and the elation of the audience, including an exclusive oral history of Death By Audio as told by its founders and its residents. 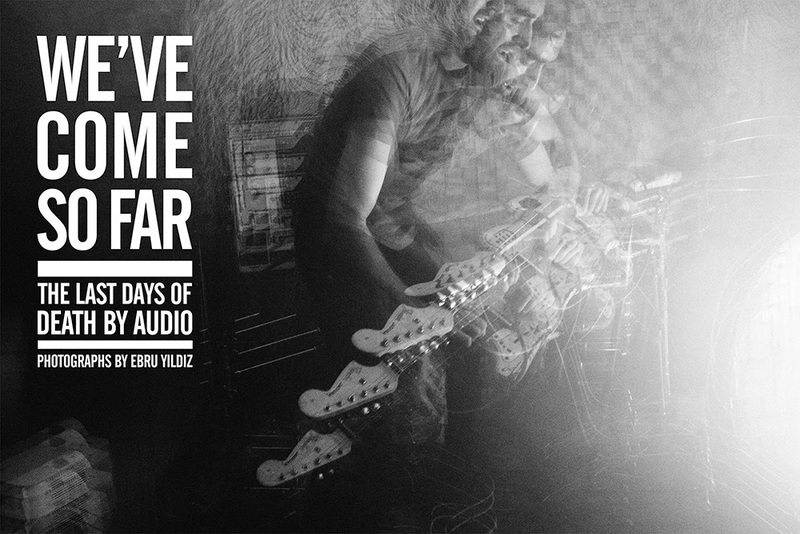 “We’ve Come So Far: The Last Days of Death By Audio” is now available for pre-order. All pre-orders will receive a signed, hand-numbered, limited-edition 8” x 10” print. You can read our living memorial to Death By Audio, featuring testimonials from over 100 people, here.